In a few short minutes, we are embarking on an exciting journey: tonight we’re staying in DC and tomorrow we begin a series of flights that will eventually take us to Lilongwe, Malawi, in Africa! 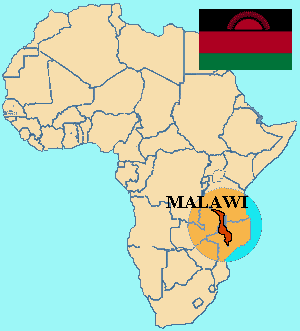 We’ve been planning this trip for the last couple of years- ever since Sandy and Kate moved to Blantyre, Malawi at the beginning of 2010. We’ll fly into Lilongwe, then go to Blantyre and then on to Safaris, Lake Malawi and many more adventures – we are so excited and incredibly grateful that this amazing trip comes at the end of law school. We can’t wait to see Sandy and Kate, and to experience the culture, food, and beautiful nature there. We are sorry that while we are gone, 2frugalfoodies posting will be slow, if not non-existent. But we promise to write down good stories and remember our food experiences as best as we can and share them when we get back. ← Law School – The End! Have a great time and you both deserve a good break. We love you and look forward to hearing about your experiences. Mary Katherine and Gardner – You will be undertaking a wonderful adventure! Please give our love to Sandy and Kate! We are so excited about the news that you all will be moving to Atlanta – and I think to a house in Virginia Highlands – the same zip code as us and one neigbhorhood away! Let me know when you expect to arrive! Traveling mercies and give them both our love!!! !